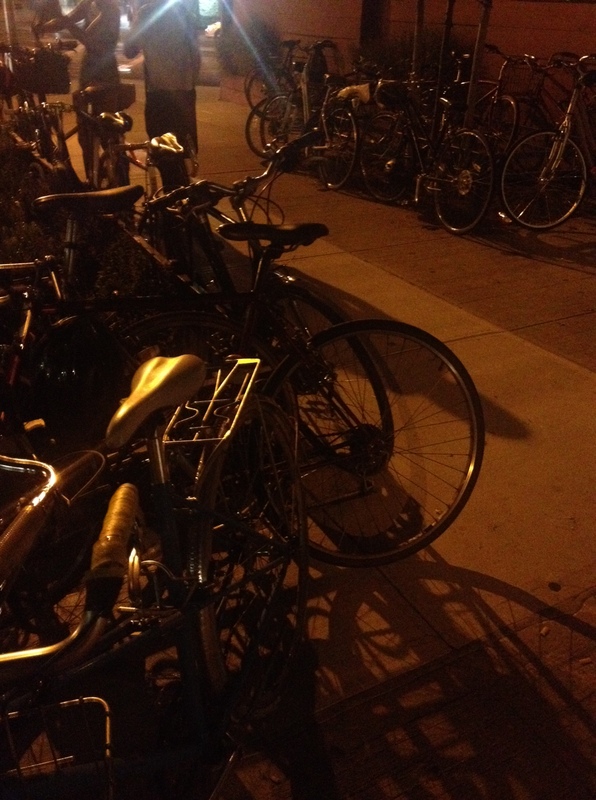 Update 12/18/12: Upon revisiting this place on a weeknight in winter, it was much improved. Considering all the options in this part of Brooklyn, Little Brother may be the best value around, when they get it right. 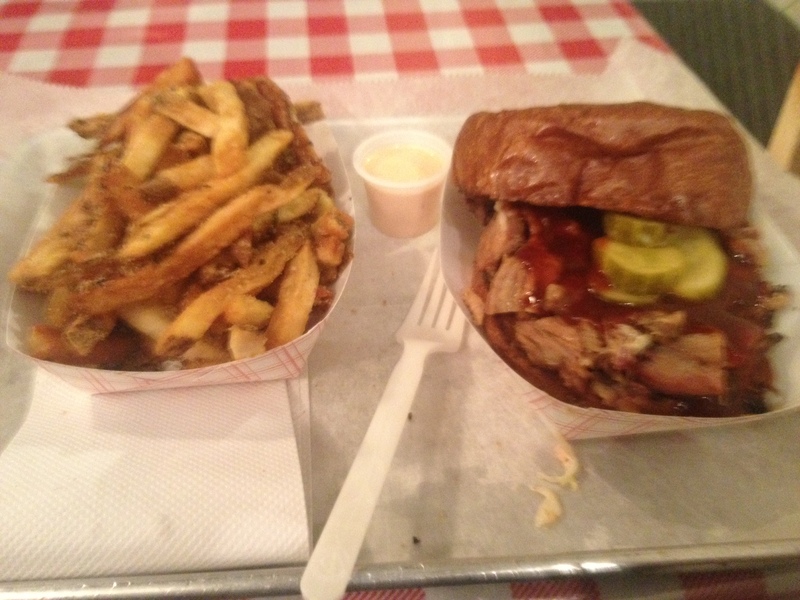 The fries were fresh and not completely overwhelmed with seasoning, and the pork was chopped and succulent. 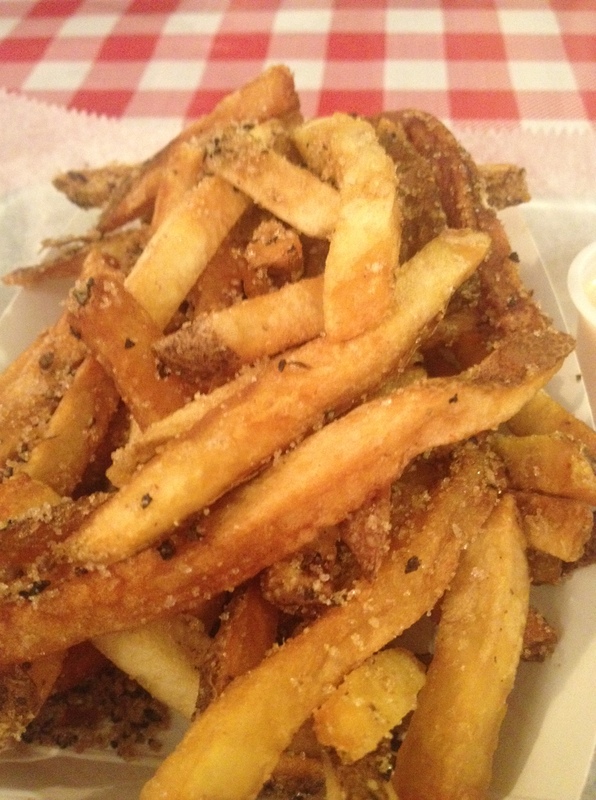 Bring a friend, split a generous order of fries, and two can eat for under $20. I’ve been looking forward to Little Brother for a while. I even delayed going there because I was waiting for the right moment. I had a few reasons for this: It’s the closest true BBQ joint (hickory smoked, slow cooked) to my current residence; I’ve heard good things about the food and the value; And its owners also own The Smoke Joint, Peaches and Peaches Hot House, the latter of which I hold in particularly high esteem and has a great pulled pork sandwich on their broader Southern-style menu. I will preface the following review with saying that this night was probably not the right moment. The day’s stresses were still hanging over me and I was impatiently hungry. themed. 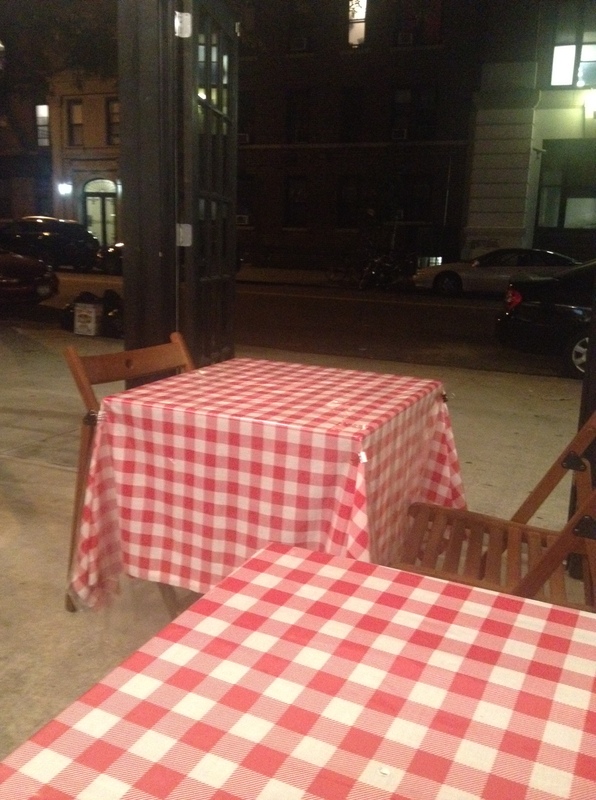 There are five checkered table-clothed tables, and a counter. But don’t be fooled – Little Brother also services its neighbor Hot Bird – yet another in the recent trend of Brooklyn “Beer Gardens” a.k.a. parking lots with picnic tables where you pay $7 for a beer. Don’t get me wrong; I love them as much as the next pretentious young Brooklynite, but I did not consider the fact that at 9:30pm on a Thursday I would be competing for service with 300 hungry drunks. The friendly staff at Little Brother was overwhelmed. And there’s just something about being one of the only people sitting in a restaurant and waiting twenty minutes for your food that puts a bad taste in my mouth. So if you try Little Bro – and you should – time it against a bar schedule more than a restaurant one. Or better yet, go to Hot Bird with a bunch of friends, order food, forget about it, and be pleasantly surprised when it’s placed in front of you. When I finally did get my order they had screwed it up, but they eventually made it right. Sort of. The fries were old and the sandwich wasn’t at its peak either. But all that personal bitterness aside, the chopped pork sandwich ($7.50) really had a lot of potential. It was stacked high on toasted brioche roll. Already sauced, but not overwhelmingly so. The pork was local organic and delicious. 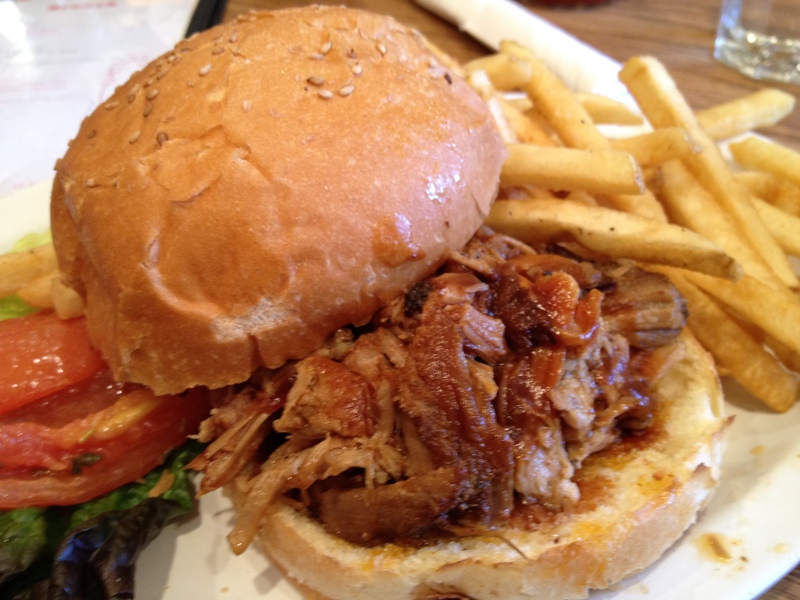 But had a completely different character to the pulled pork sandwich at Peaches Hot House. And the fries ($3.50) were definitely enough for two people and had a really unique rub on them that seemed to be course pepper, salt and brown sugar. Maybe cinnamon. There was way too much of it, but I appreciate the sentiment. There were two sauces available – one incredible spicy vinegar-based that was basically the same recipe they serve at Peaches Hot House, and one more traditional tomato-based that was a little too sweet. 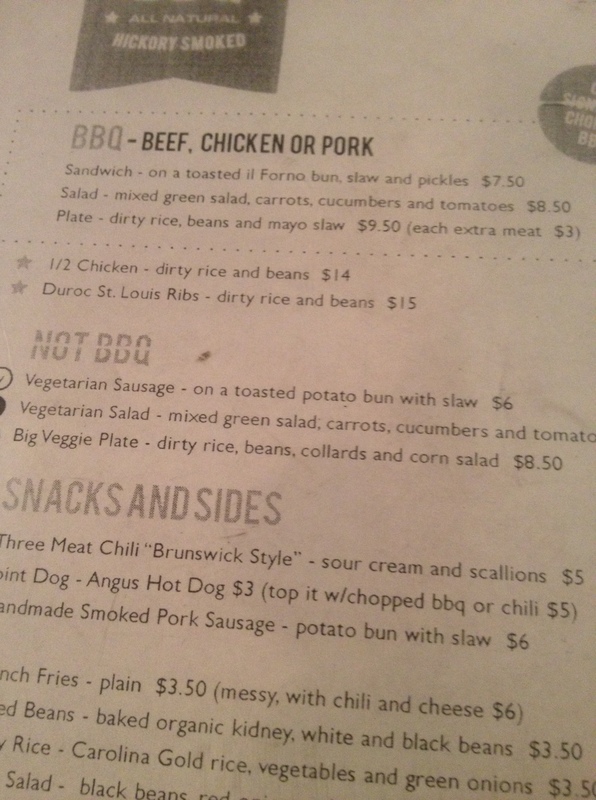 So my first meeting with Little Brother BBQ was bittersweet, but I can’t wait to try it again under happier circumstances. One thing I can be sure of: there’s plenty of room in the Five Boroughs for more places like it.